Victor’s Dung is set in a farm yard, com­plete with its very own dung heap, out­door toi­let and rather poor broad­band recep­tion. It is the com­ic tale of Vic­tor Maguire, a crude, vul­gar, abrupt, un-PC Cavan farmer who gets a sur­prise one Fri­day morn­ing. We are then tak­en on whirl­wind jour­ney through Victor’s some­what sad and uncon­ven­tion­al life, meet­ing up with many a strange bucko along the way… Hold on to your hats… and your sweets (because there may be Cavan peo­ple in the audi­ence)… this could get messy. Con­tact Sea­mus if you would like to get a copy of this script or any of his plays. 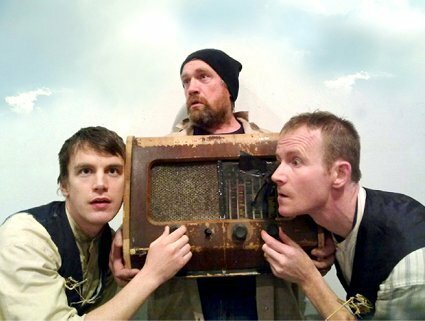 Sea­mus O’Rourke is an award-win­ning writer, direc­tor and actor from Coun­ty Leitrim. He tours Ire­land reg­u­lar­ly with his own self-penned shows. Sea­mus has also close on a mil­lion hits on YouTube and Social Media with his col­lec­tion of short sto­ries, recita­tions and sketch­es.